You could be forgiven for feeling as if the revolution has been delayed. Weren’t we supposed to have super smart, hyper-efficient self-driving cars by now? Sure, we’re beginning to see some on-road testing, but that fully automatic, level five car that can operate with no human intervention required at all? That’s still very much a work in progress. It’s a big project of course. We are talking about a hunk of steel speeding down public streets with nothing but AI smarts to prevent catastrophe after all – but it’s not just delays in the tech holding things up. According to a new report by KPMG, Australia’s lack of manufacturing chops – plus a lack of investment – is ruining the country’s chances of competing in the great smart car race. The report finds Australia limping into 14th place (out of a possible 20 countries) for ‘autonomous vehicle readiness’. “Autonomous Vehicles (AVs) are poised to revolutionise not only transportation but the way people live and work throughout the world,” says Paul Low, KPMG transport management consulting partner. And while Australia surely has similar aspirations, so far the Government is taking a more laissez faire approach to making it so. In May the Ministry of Transport announced it’s underwhelming new legislation – due to be in place by 2020 – entitled Changing Driving Laws To Support Automated Vehicles. “With automated vehicles, there will be times when an ‘automated driving system’, rather than a human, will be in control of the vehicle,” says National Transport Commission (NTC) CEO Paul Retter. For better or worse, it seems the market will have to lead the way in Australia. And at least on that front there is some hope. Beleaguered peer-to-peer ridesharing and would-be self-driving car pioneer Uber who has recently struck a deal with Toyota, yesterday announcing a US$500 million investment in Uber as part of a project to get self-driving cars picking up Uber passengers by 2021. “Our goal is to deploy the world’s safest self-driving cars on the Uber network, and this agreement is another significant step towards making that a reality,” says Dara Khosrowshahi, Uber’s CEO. Uber’s advanced technology and Toyota’s manufacturing prowess make this partnership “a natural fit” says Khosrowshahi. That’s a decent investment and some sort of progress towards the fully-autonomous end goal but it does little to address perhaps a more pervasive problem for the industry. With two fatal accidents involving self-driving cars still fresh in the memory, the average man on the street simply does not seem to have a great deal of faith in car makers’ ability to create a product that is actually safe. And that PR problem shouldn’t be underestimated. In New Zealand a new Trade Me Motors survey finds Kiwis nervous about encountering autonomous vehicles on the road. 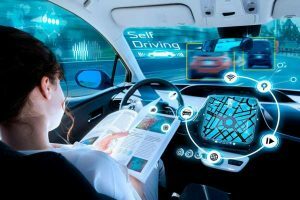 “Almost two-thirds of Kiwis are worried about autonomous vehicles, with women (74 percent) significantly more skeptical than men (56 percent),” says head of Trade Me Motors, Alan Clark.